VIP Package: $100 A limited number of VIP Packages will be available for sale. Price includes after show meet & greet and photo opportunity with Laurie. * Subscribe to Ronnie's Awesome List for a chance to win an autographed CD of the Ultimate Laurie Berkner Band. 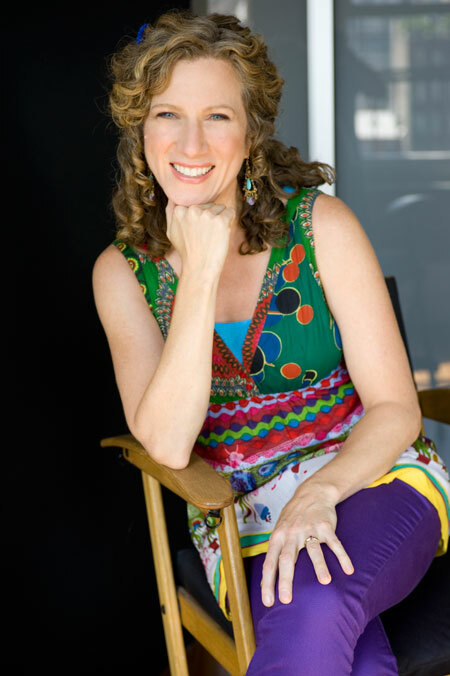 If you have young children, chances are you've heard of Laurie Berkner. The legendary children's musician has performed everywhere from the White House to Carnegie Hall, and on April 18, she'll bring her show to the Palace of Fine Arts in San Francisco. 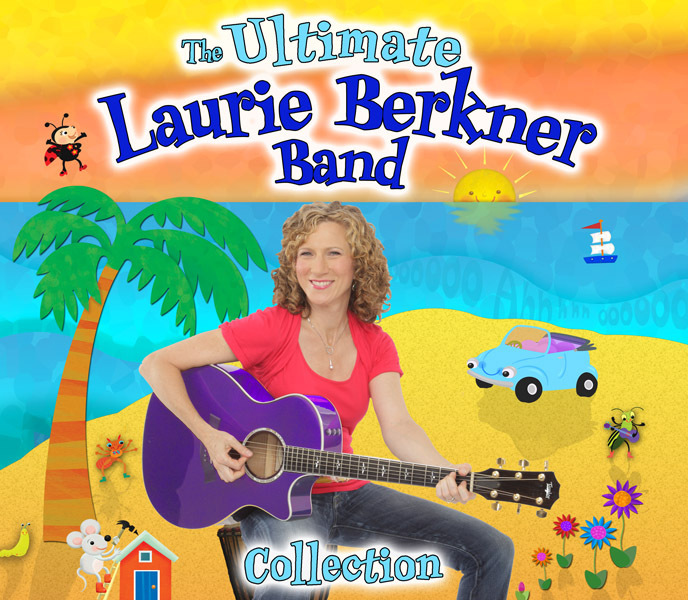 I’m excited to share this exclusive interview with Laurie about her career and recently released compilation album, “The Ultimate Laurie Berkner Band." I have very specific childhood music memories mainly from Julie Andrews; The Sound of Music, Mary Poppins, and My Fair Lady. I joined chorus in elementary school and found it very powerful to sing with a group of kids my age. That's when I fell in love with singing. In 4th grade I took piano, clarinet, and violin, joined orchestra and remained in chorus. You're known for playing guitar. When did you first pick up a guitar? When I was 16. I was babysitting and one of the kids was taking guitar lessons. I started strumming her guitar while she was sleeping and thought it was the most beautiful sound ever. I enrolled in a night school guitar class and after 12 weeks I taught myself. You're music is so playful and tells a great story. Who influenced your musical/song writing style? My mother's uncle was living in Manhattan and was the treasurer for different theater box offices. He would give us tickets to see shows all the time. We’d dress up and drive from New Jersey into New York, have dinner, and go to these great shows. For a long time, I thought you were only allowed to come into New York if you were dressed up. I fell in love with these musicals and would act them out. When I started college at Rutgers University, I started to play music from the 60-70’s. Neil Young, Joni Mitchell, Joan Armatrading, Crosby, Stills & Nash, Mamas and Papas were the songs I learned to perform in front of an audience. I was so scared but as a musician you take your licks in front of everybody. You can’t learn how to perform live unless you perform live. You can practice but it’s not the same. You sang a duet with Danny Weinkauf, base player for They Might Be Giant (TMBG), on his recently released solo kids album. I spoke to Danny about when TMBG ventured into making a kids album, which came at a time when kids music was starting to be performed by musicians I enjoyed. That was such a big issue when I first started. In college, I always felt that maybe I wasn’t a good musician. I started playing kids music and I thought, "This is something I am good at, it makes me feel happy, and I’m getting good feedback." I was lucky I found that place because for a long time people kept questioning, “Are you still doing that kids stuff?” or “Are you trying to be Barney?” It was hard to imagine you can write music relevant to kids and still be a serious musician. I knew from working with kids as a pre-school music specialist at the Rockefeller Child and Family Center in New York City how the music had to be. You can’t just sing a song about washing hands; there was more to it but it's not obvious when you are not around kids. Over time, musicians I knew were tapping into the kids market too. It was very affirming that this was not just fun but a valid profession. Musicians were realizing it’s important to create music kids and parents really enjoy so there isn’t this period of, "Yuck, I have to listen to this music my kids like but I hate." How did Noggin find you? My first cassette, Whaddaya Think of That?, was floating around somewhere in California and the creative director at Noggin got a hold of it and called me at home. The album contained original songs like "We Are the Dinosaurs" and "I Know a Chicken." She felt I would be really good on this channel they were starting for preschoolers. It took five years before I created the first interstitials for Noggin. That led into Jack's Big Music Show. Can you tell me about your journey to Sing it! Laurie on Sprout? I approached Little Airplane Productions (creators of The Wonder Pets and Oobi) because I was a fan. I thought their shows were done so well. We collaborated on a character who loves to sing with her friends and created short segments, each with a story and song, for the Sprout Network. This is your second compilation of greatest hits. How did you decided which songs would go into this album? When I made the list for the for the first "best of" album I couldn’t fit them all on one album. So, I already had a list for the second album, plus, I wrote more songs that also became favorites. It wasn’t easy to choose because I still had to leave out songs I love. When we’re touring, fans want to hear what's on the greatest hits album and then I think, “Why didn’t I include this song." A lot of people ask me which is my favorite song but that’s like asking a mom who’s your favorite child. I love them all. All your songs are so positive and upbeat but "The Cat Came Back" is an edgy subject. I learned that song from a Canadian kids singer named Fred Penner from when I was a kid. Then ten years ago I did a tour of children’s festivals and he was there. He had a big finale with a giant blow up cat on stage when he sang it. There was something penetrating about that song. I loved it even though as a grown up I realize the lyrics are a little questionable. I changed them to be more kid friendly on my album. You have a huge list of wonderful charities you support on your website but what are the causes that speak to your heart most? On a personal level, I find myself giving to clean water and food protection. In the kids world, I have a strong connection to kids with autism. But every time I get a letter from a parent or child with a certain illness it just opens up a whole floodgate of areas I want to support. I always have a special place in my heart for people with autism. When I was working at the preschool there were kids who were on the autistic spectrum in my music classes. I would get feedback from teachers and parents about how important my music was to these kids. At my concerts, I’ll see 8-18 year olds with autism having fun. I don’t know why my music touches them, perhaps it’s the repetition and simplicity. Whatever is in my music, kids with autism attach to it in a very intense way. I noticed you successfully used Kickstarter to raise funds for your lullaby album. What was that experience like? It was great, a lot of work but worthwhile. It meant figuring out daily ways to encourage people to contribute, emails, posting to social media, trying to keep the album in people's consciousness during that specific period of time. It was the battle against entropy. I had a great response from people to hire me to play at children hospital or a school. We also had a reward where people could buy box of ten CD’s and donate them. On Kickstarter, if you do not make your goal you lose all the money. We hit the original goal of $35K before the end and then we kept going to try to fund music videos. We ended with nearly $55K. To fulfill that part was a couple of weeks of signing things, mailing, stuffing envelopes, contacting people, and arranging private appearances. I even got flown out to Utah for a kids party. I had a bunch of moments flash through my head but I have a more general answer. I am proud I was able to make something of this career when a lot people didn’t think it was a career. I had this joke with my parents, after I graduated college, that I didn’t know what I wanted to do. They said, "I thought you wanted to be a musician." I said, “Who would pay me for that?" I feel that if I had to quit this and become an organic farmer tomorrow that I reached a point where I felt proud of everything: the videos, the people I worked with, the kids, the business I built all feels like I did something special. I’m working on another album and developing a new script with the creative director at the New York City Children’s Theatre based on one of my songs. And I am putting a lot of effort personally training teachers in Laurie Berkner's The Music in Me, a "Me and My Grownup" style music program I designed. My goal is to bring out the unique musical expression that's in each child. I want kids to uncover their own special version of the music that's in them and to feel proud of it! 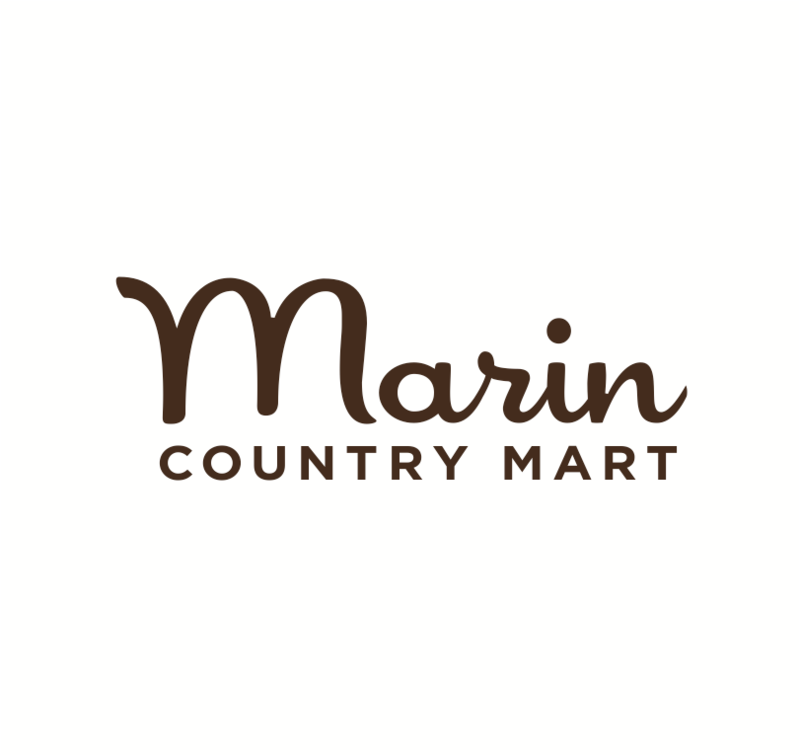 Laurie Berkner is playing at the Palace of Fine Arts on April 18th. Tickets are on sale now. For more information on Laurie Berkner, go to laurieberkner.com, Twitter, Facebook, and Youtube.